The SA Crypto podcast brings you news from Crypto industry experts in South Africa and around the world, as well as weekly market round-ups. Be sure to subscribe, check out website, and follow us on Twitter! Blockchain Newsletter Issue 15: New Ethereum? Apple Does Blockchain, SEC And Ethereum, etc. Welcome to our new, regular roundup of Blockchain News. Our email newsletter narrated, for those who don't have time to read! This episode is proudly sponsored by Blockchain Academy, get trained in Blockchain & Cryptocurrency here: http://bit.ly/blockchainacademyheader Visit www.sacrypto.co.za to subscribe to this newsletter via email, and get the latest in Blockchain news from South Africa and around the globe! We are now introducing our weekly Blockchain Newsletter as a podcast to allow for those who don't get a chance to read it to listen instead. This episode is proudly sponsored by Blockchain African 2019, you can get your tickets at: http://bit.ly/blockchainafricaheader Visit www.sacrypto.co.za to subscribe to this newsletter via email, and get the latest in Blockchain news from South Africa and around the globe! 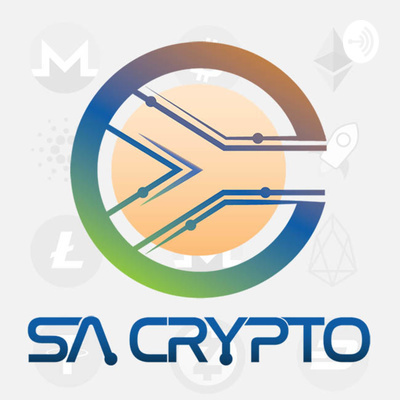 SA Crypto is back in 2019! Looking at the price action over the last month, and analysing what is possible in the coming weeks, along with how some of the altcoins are looking as well. We also touch on the upcoming Blockchain Africa conference happening in both Joburg and Cape Town, as well as get a teaser on what ICE3x's Eugéne Etsebeth has to say. 6 December: Market Analysis E03: Consolidation? 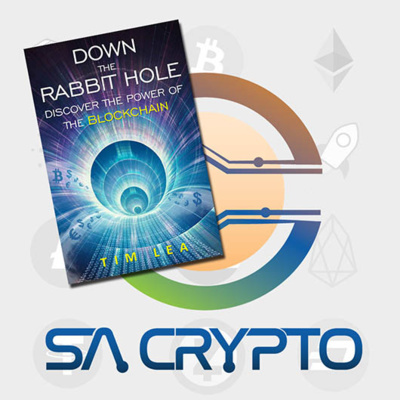 Interview with Tim Lea, author of "Blockchain: Down The Rabbit Hole"
Market Analysis Ep 02 - Where Is The Bottom? Market Analysis Episode 01: Support Broken! 👆🎙 This week's Market Roundup was recorded & produced between King Shaka & Joburg airports, and it features... 🗞 Short headlines on price action. 🗞 Voice notes from some of the team about how they got into crypto. 🗞 Analysis from SA Crypto's financial analyst Graeme Tennant. 🗞 The big stories in the Blockchain industry from this week. Be sure to visit www.sacrypto.co.za for more! This week we look at Ether regaining its position as the number 1 altcoin (ie. number 2 behind Bitcoin), how shortlived the XRP flippening really was, and just how thin the ice is for the current Bitcoin support zone. In this week's market roundup, we talk about XRP flippening ETH (albeit at time of recording - has changed since publishing) and we look at which cryptoassets gained the most in this short but exciting rally. $1000 in 12 hours? WTF Happened? In this edition of Tech Talk, we look at App of the Week: 22Seven. A budgeting app with an incredible User Interface, and incredibly intuitive AI that will pick up your spending habits, and help you create a working budget! We also answer the question of the week from "Nick", who asked "I have an iPhone 7 and am looking to upgrade, which smartphone would suit me best? I'm not bothered whether it's iOS or Android." Our answer? The Samsung S10e. Catch the next edition of Tech Talk on ECR and Jacaranda FM each week! Join us as we take a a look at this weeks Crypto News & Market Round up. Join us on our first weekly roundup podcast where we take a a look at some of the latest news in Crypto and whats in store over the next couple of days.